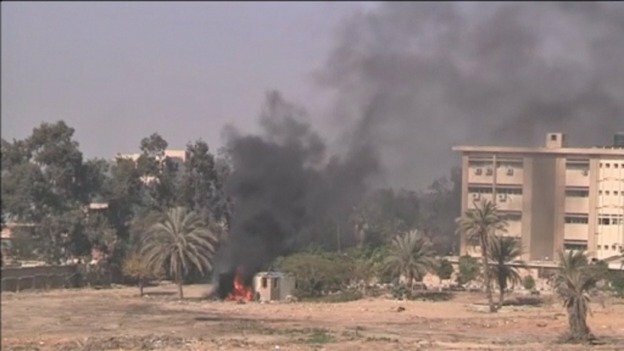 Muslim Brotherhood supporters clashed with Egyptian police and Cairo university buildings were set on fire killing one student. State TV blamed protesters for the fire at al-Azhar University’s business faculty, where exams had to be postponed, and the agriculture faculty. The Muslim Brotherhood said police were “fabricating” the charges. The crackdown on the group began when President Mohamed Morsi, who belongs to it, was deposed by the army in July. The campus fires had been brought under control by Saturday afternoon, and some 60 people had been arrested, reports said. The Muslim Brotherhood, which had been banned since September from all activity, was declared a terrorist group on Wednesday following a suicide bombing of a police headquarters in the Nile Delta. The government said the Muslim Brotherhood was behind the attack – a charge it strongly denied.